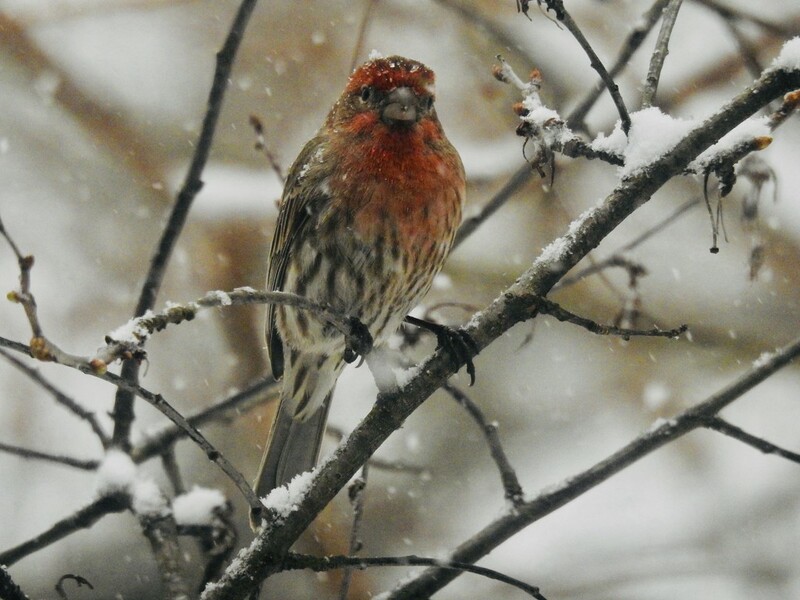 The birds were at the feeders all day long today; probably due to our April snowstorm. Poor mixed-up birds! Hang in there, guys - tomorrow will be better. Great shot of this somewhat sad looking bird, fav! Yes, they do come a'flocking when the snow starts, and they stand out better for the photos! This is a nice shot. If anyone knows what type of bird, I'd be interested, we don't see these here in UK as far as I am aware. @amyk Thanks Amy, it's a nice looking little thing!